Construction on a park and lake began in Cau Giay district, Hanoi, on July 22, as part of a plan to build 25 parks across the city between 2016 and 2020. 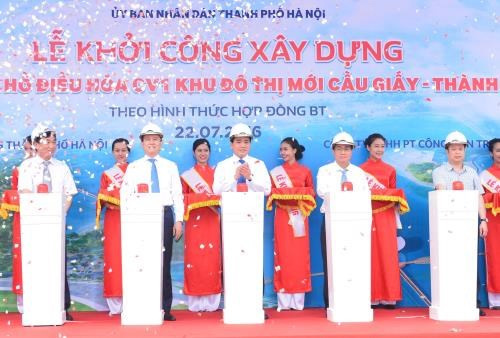 Speaking at the ground-breaking ceremony on July 22, Chairman of the municipal People’s Committee Nguyen Duc Chung said it is the third construction after similar ones in Mai Dich and Nhan Chinh wards, towards the goal of planting an additional 1 million trees during the period. 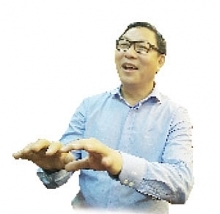 The project, in the CV1 land area between Nam Tu Liem and Cau Giay districts, is built in the build-transfer model at a total cost of 938 billion VND (42.6 million USD). Once completed in late 2018, the park will feature a 19ha lake surrounded by 12.76ha of greenery and recreational areas./.